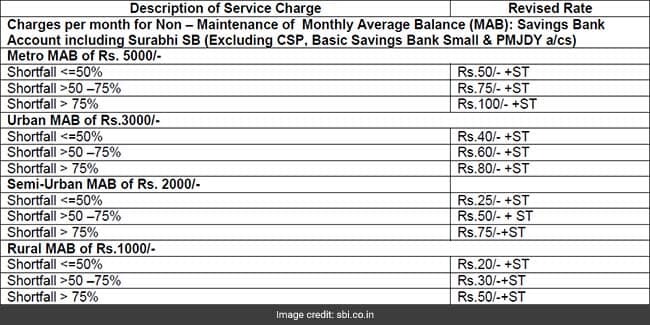 Meanwhile, for savings accounts with average balance of more than Rs 2,500, SBI will charge a penalty of Rs. 50, plus taxes. Personal finance experts suggest maintaining only one or two savings bank accounts at a time, so that it will be easier to maintain the required average monthly balance in them. Meanwhile, SBI in a Twitter post said: "A regular review of your account will help you to ensure the average monthly balance is maintained and avoid the minimal charges."